So many gardens to visit and so little time, this was the dilemma I faced on my holiday to Cornwall. Such a large choice of historic houses, ruins and gardens to enjoy. Top of the list though was a visit to the Lost Gardens of Heligan. A visit to Heligan unearths a garden that was lost and left to ruin during the years 1914 - 1990, it was then rediscovered and lovingly restored to the splendour you can explore today. Just a five minute drive from the hotel, my sister and I arrive just as the doors were opening and the sun was coming out. Along with our cameras, pictures are the best way for me to share my visit with you. Are you prepared for some serious garden envy? 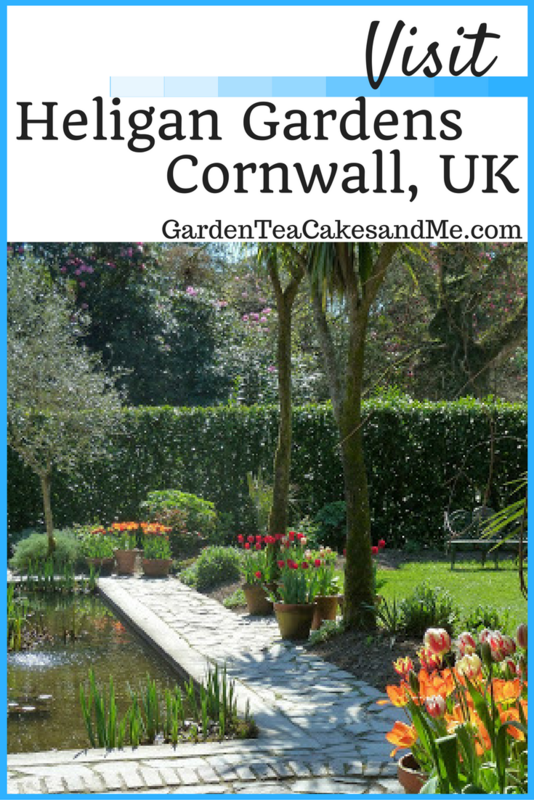 Heligan consists of the Northern Gardens, Jungle Gardens and the wider estate. The Northern Gardens are 18 acres of Productive Gardens. I get quite giddy looking at greenhouses, fruit and vegetable plants - that must be the 'grow your own' gardener in me. Whilst the Pleasure Gardens are filled with plants from all over the world, huge Rhododendrons, ferns and an abundance of Tulips in bloom. There is a gradient to this part of the garden, though there are plenty of benches to sit and rest, and of course to enjoy the view. Now the Jungle Gardens, I am afraid I can not tell you much about them. Located in a steep sided valley, whilst I may have made it down to them (bench breaks permitted) I would not have made it back up. So sadly had to miss them out. On a positive note in the conservatory at Heligan they have an armchair tour set up on a large screen, for those of us not physically able to visit all areas. I watched this whilst enjoying a lovely strawberry ice-cream. Where ever you visit at Heligan you will not be short of company, there was a bird around every corner. Doves, blackbirds, robins and finches to name just a few. I can thoroughly recommend the shop and restaurant, the food was excellent and was very popular with locals also enjoying a Sunday roast. 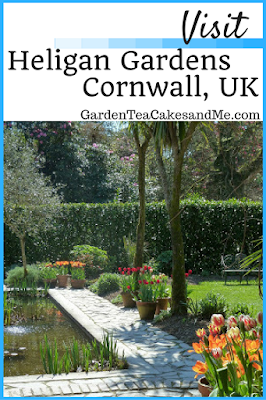 For me Heligan is a must visit for any garden lover planning a visit to Cornwall. I am most envious of those living locally to Heligan, you get to enjoy the garden all year round. I found the Heligan Timeline a fascinating read, covering its history from 1200's to present day. Do you have a favourite place to visit in Cornwall? I love Cornwall though I haven't visited the Lost Gardens, need to plan a visit down there as it looks beautiful from your photos.